Real Deal Retirement » Blog Archive » Should I Follow Warren Buffett’s 90% Stocks-10% Bonds Strategy With My Retirement Portfolio? 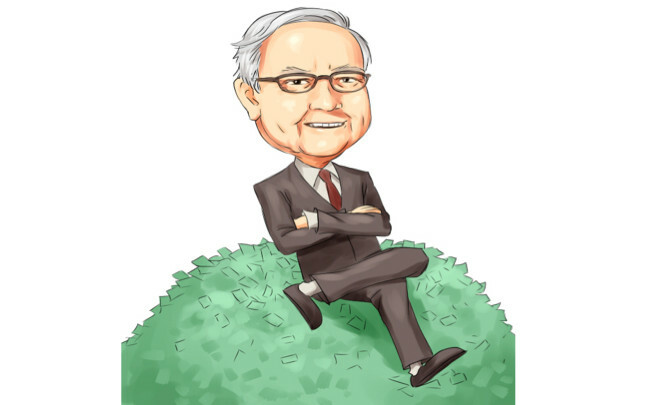 Should I Follow Warren Buffett’s 90% Stocks-10% Bonds Strategy With My Retirement Portfolio? I’m in my early 50s, have more than $1 million in retirement savings and plan to retire around age 60. I‘ve heard about Warren Buffett’s strategy of keeping 90% of one’s assets in stocks and 10% in bonds and like the idea of investing my savings that way to earn higher returns. I know my accounts would take a hit if stock prices fall, but I believe I could survive a market downturn. 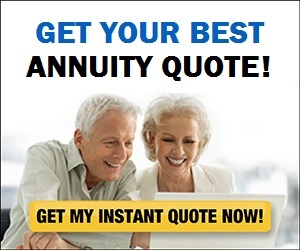 Do you think this is a good strategy for retirees and near retirees? Anyone who’s followed the strategy of putting 90% of their money in stocks and 10% in bonds that Warren Buffett mentioned in his 2013 letter to Berkshire Hathaway shareholders—and then later expounded on as part of a 3% to 4% annual retirement withdrawal system in a TV interview—would have done very well in recent years. After all, since that missive was released in March 2014, stocks have returned nearly 60%, while the broad taxable bond market has returned just a bit over 8%. So clearly, investing nearly all of your retirement savings in equities has paid off, whether you’re still building a retirement nest egg or, for that matter, drawing on it for retirement income. At the same time, though, you also have to wonder how anyone with such a stock-heavy asset allocation felt when the market went on its recent white-knuckle rollercoaster ride. Nor can you help but wonder how many people nearing or already in retirement would feel if the recent volatility turns out to be the harbinger of a major meltdown in stock prices. And therein lies what I believe is the major question anyone thinking of adopting this strategy needs to resolve before adopting it: Will you be willing, and able, to stick with such an aggressive stocks-bonds mix when the markets are in turmoil or even in the midst of a harrowing tailspin? Make no mistake, the benefits for hanging in with a very heavy stock allocation over the long run can be substantial. During your career, stocks’ generally higher long-term returns can help you build a much larger nest egg than you would by tilting your mix more toward bonds. And even post-career, when retirees are drawing money from their nest egg, the Buffett Portfolio has done quite well. But the fact that this strategy succeeded so well in the past doesn’t mean it will replicate that success in the future. And even if it does fare as well in the years ahead, there’s still the matter of how someone investing his nest egg in such a volatile mix will deal with what I’ve called “emotions risk,” or the risk that you’ll give in to the powerful urge to sell stocks during severe market setbacks, locking in losses and perhaps leaving you unprepared to participate in the market’s eventual recovery. It’s one thing to say now, with stock values still high even after recent turbulence, that you can survive a market downturn and that you’re confident that you won’t abandon the 90-10 strategy. But the real issue is how you’ll react if stocks go into a gut-wrenching and prolonged slump, like the 17-month near 60% drop from the market’s high in 2007 to its low in 2009 or the 31-month 49% decline in the wake of the late ’90s dot-com boom. Maybe you look at such setbacks and are sure you would be able to handle them in the future. Fine. Just remember that, since you’re looking backwards, you know when stocks hit bottom, when they turned around and how everything turned out. The impact of a bear market on an investor’s emotions and psyche is quite different when you’re going through it in real time, when stock prices are tumbling day after day, when rallies fizzle and lead to even bigger losses, when there’s no end in sight and you see your hard-earned savings dwindling before your eyes. During such times many investors are desperate to do something, anything to ease the pain. If you’ve got the discipline and the stomach to stick with a very aggressive portfolio even during market cataclysms—or if your nest egg is so large relative to the amount of money you need to draw from it each year so your chances of running through your savings prematurely are minuscule—then maybe you’re a candidate for the Buffett approach. But I suspect most people nearing retirement or already retired aren’t looking to take their life’s savings on a stomach-churning up and down ride. Similarly, you don’t need to overdo it when you’re on the verge of retirement or have already retired. As long as you keep your withdrawal rate reasonable, you don’t need to load up heavily on stocks to avoid outliving your savings. The study I referred to earlier showed that more traditional retirement stocks-bonds allocations—60%-40%, 50%-50% and 40%-60%—held up about as well or better than a 90% stocks-10% bond portfolio, and a larger bond stake would have provided more of a cushion during stock market setbacks. You can get a sense of how long a nest egg invested in different mixes of stocks and bonds might last in the future at various withdrawal rates by going this retirement income calculator. Of course, by investing less of your savings in stocks, you do limit the potential upside. But when you’re nearing the end of your career or already retired, you have to ask yourself which makes more sense: Shooting for higher returns while having to watch the value of your nest egg dip and dive so that you might (not will, but might) end up leaving a larger legacy to your (no doubt incredibly deserving) heirs? Or going with a more conservative strategy that should provide a smoother ride and allow you to enjoy retirement without worrying that a market setback will upend your retirement plans?